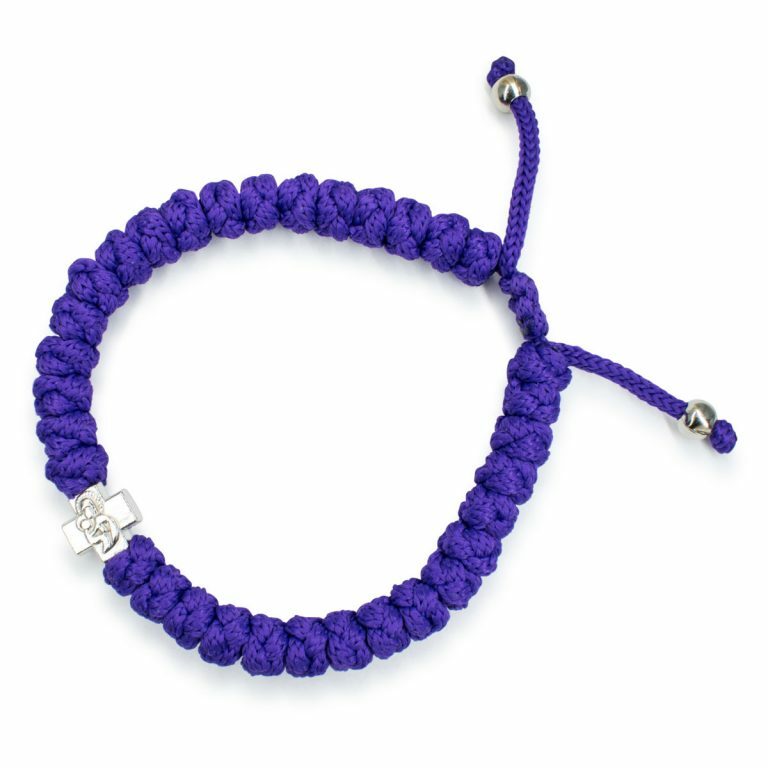 Purple rain, oh purple rain. 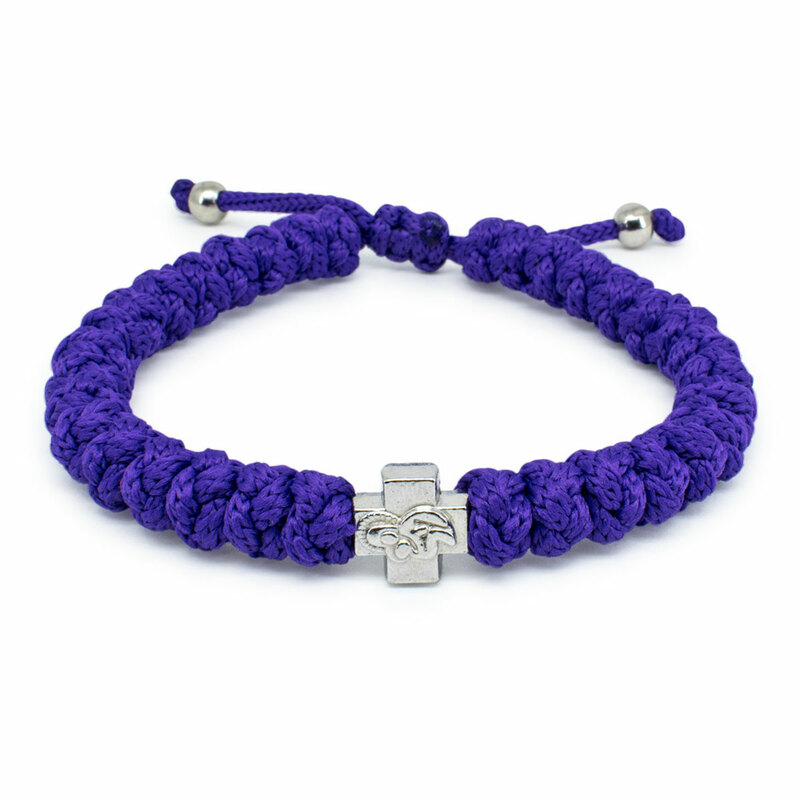 This wonderful adjustable dark purple prayer rope bracelet is authentic and hand-knotted. 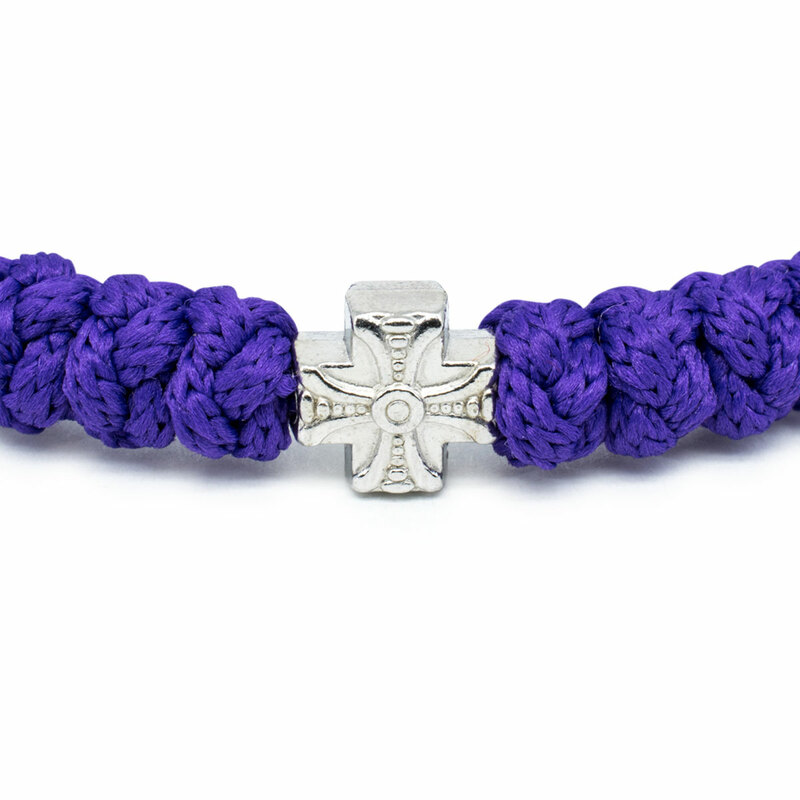 The cross bead in this bracelet is double-sided and has the depiction of our Holy Mary. 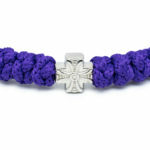 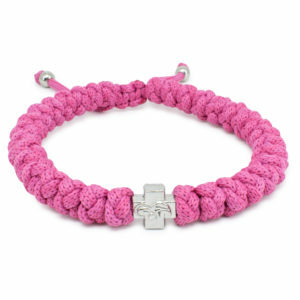 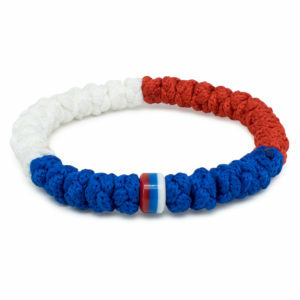 The rope used to make this bracelet is non-allergenic. 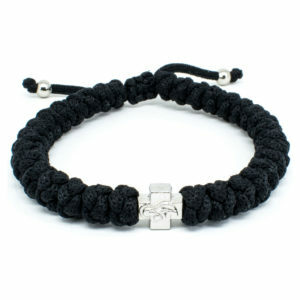 The size can be adjusted by pulling on the 2 cords.